The race organisers have managed to tweak and develop the course for the showcase 60km race this year and have made it even better than last year according to course designer Bruce Smith. Smith, the father of last year’s race winner Derrin Smith, is a farmer in the Mid Illovo area and leads the team of local farmers who design and build the 60km course. He said they have introduced more free-flowing single track which is not as technical as in 2016. “The route for the first 30km is similar to last year with lots of single track going through iNsingizi game farm. These are technical but worth it. “After 30km last year the race went on a lot of dirt road,” added Smith. “As we’re getting more competitive as a race we want to keep the riders coming back so we’ve got to keep upgrading and changing the trails, so we’ve introduced more free-flowing single track in this section. But the day is not just about the racing snakes who are looking to test their legs over 60km of challenging mountain biking. This is the 10th anniversary Husqvarna Classic and over the past decade the race has developed into one of the must-do events on the calendar because it offers something for everybody. For those mountain bikers who feel 60km is too much of a challenge, there is a standard 45km Safire MTB race and a relatively gentle 18km Gwahumbe Family Ride. And the younger set are also catered for with two 10km fun rides, one for the over 12s and one for the under 12s. The Husqvarna Classic was also one of the early movers when it came to incorporating trail runs into the day’s activities and they have reaped the rewards with relatively big fields for their 18km and 9km iNsingizi Trail Runs. The Husqvarna Classic is the fourth leg of the prestigious nine-race Quattro ROAG Series which brings riders together for a Grand Prix-type series of events. Riders win points for each event depending on their finishing position at each race. 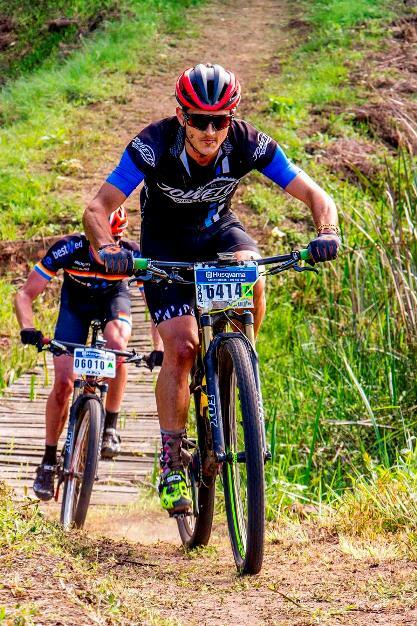 Stuart Marais is currently leading the men’s MTB ROAG Series tables and is expected to line up and add to his points tally at this popular weekend race. For the first time this year the trail runs will be incorporated into a ROAG Trail Running Series as well. But perhaps the last word should belong to Dreyer, who has raced and won events all over the world. “Being able to do some game spotting while riding is a real treat,” she said after enjoying her ride to victory in 2016. “The variety of tracks and scenery within the race keeps it interesting and exciting to ride. “It is most definitely one of the most exciting races in KZN,” – and it now got even better for the 2017 riders. Entries are open via www.roag.co.za for all events and will close on April 26 at midnight, but late entries will be accepted on the day. Do your bit! Give an Uzwelo school bag to an underprivileged Mid-Illovo child, when you add a R130 donation to your entry. Registration begins at 05.30 on the day, with the first MTB race (60km) starting at 07h30.